I think a South Korea road trip is your best bet for exploring the country, from your own perspective. Public transport is great but it was easier and more fun to drive through the country. Of course, there are many things to do in Seoul, but you have to go beyond the capital city see as much as possible. 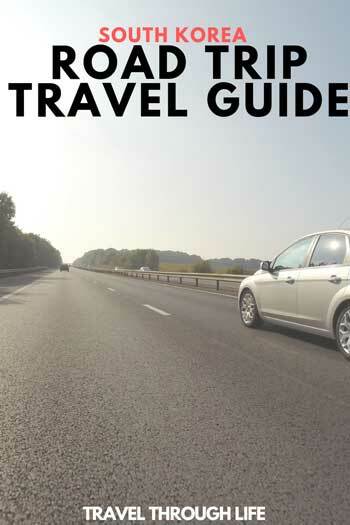 So with that, let’s take you through 50-plus places to visit and some top tips via this South Korea road trip travel guide. If you haven’t found a place to stay yet, check the best prices on hotels in South Korea! Before you embark on your road trip through Korea, here are some things you should know about renting a car and requirements before you can do so. Valid International Driver’s License or Korean Driver’s License. Cars come with “basic” insurance though it doesn’t cover damage or theft. You can purchase additional insurance from the rental company. Don’t own a car? You can rent a car from any airport and will have your best luck finding English help. Avis and other big names can be found throughout big cities as well. They are the most reliable in terms of service standards. For more information on renting a car in Korea, check here. After you get your license and car sorted out, here are all the places to visit in Korea during your road trip. We’ve broken things down by South Korean provinces and cities to make things easier for you. 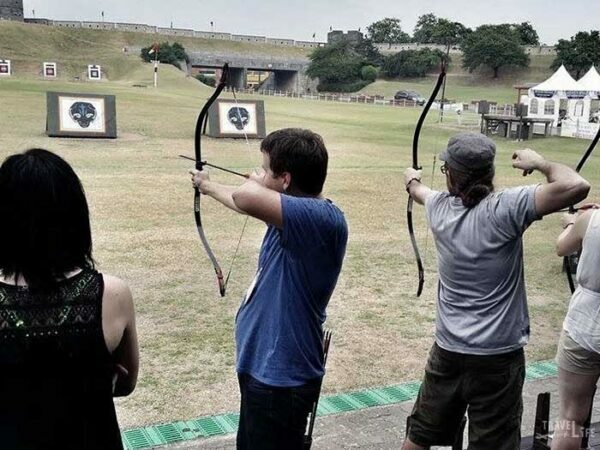 Me (second from left) Shooting arrows at Suwon’s Hwaseong Fortress. After arriving in South Korea, you can stay around Incheon International Airport and explore some fun spots. To learn about the Korean War, check out the Memorial Hall for the Incheon Landing Operation. From Incheon, you can take a short trip to Suwon and practice your archery skills at Hwaseong Fortress. There, you can also walk along a picturesque wall. Gapyeong’s Garden of Morning Calm will help you spend a really quiet day away from Seoul. For more Korean history, Daniel Tudor’s The Impossible Country is a great read. Korea’s beautiful Seoraksan National Park owns a special place in my heart, as it’s where I nervously proposed to my wife. Nearby Sokcho is a quaint coastal city whose fish market is full of action. Pyeongchang was the site of the 2018 Winter Olympics and full of skiing courses that saw many of the world’s best in action. Some events happened in nearby Gangneung, which is home to the historic Ojukheon House. Visit Chuncheon for dak galbi, but also for walks along the Soyang River. 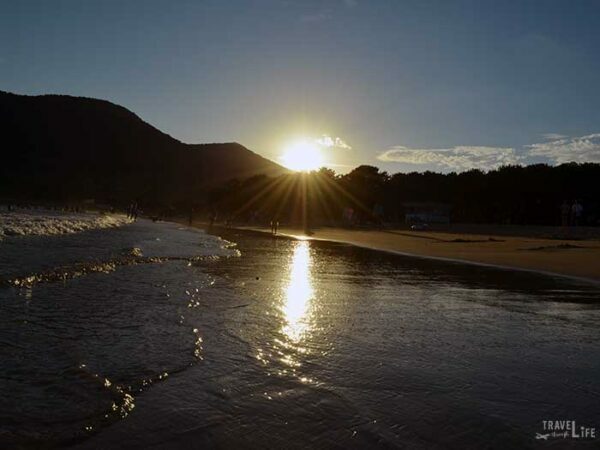 The east coast is essentially one long beach and Yang Yang’s Naksan Beach is a great spot to relax and wake up early for sunrises. Highway 7 that runs up the east coast and ends (for now) at the Goseong DMZ. I know there are multiple DMZ tours you can take from Seoul, but the Goseong DMZ is easy to enter and sits all the way up in Gangwon Province’s northeastern tip. At Goseong’s Unification Observatory, you can stare out at North Korea and the mountains beyond the end of the line. Beopjusa Temple inside Sognisan National Park. North and South Chungcheong Provinces go overlooked in many South Korean travel itineraries and I can’t see why. The vibrant city of Daejeon is worth a visit for bike rides and a look at its lovely riverside. 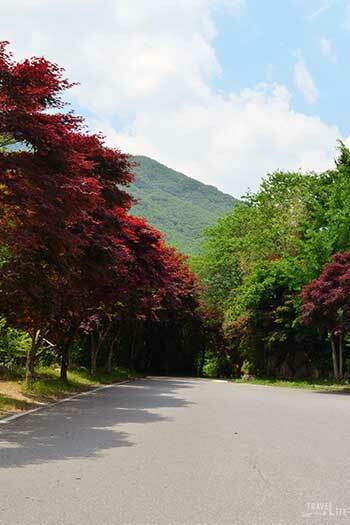 You can also get away to nearby Gyeryongsan National Park and explore there. Gongju Fortress will take you back to a time when three kingdoms ruled Korea with its the hourly changing of the guard ceremony. Danyang is a cozy river town that’s close to the immaculate Guinsa Temple. 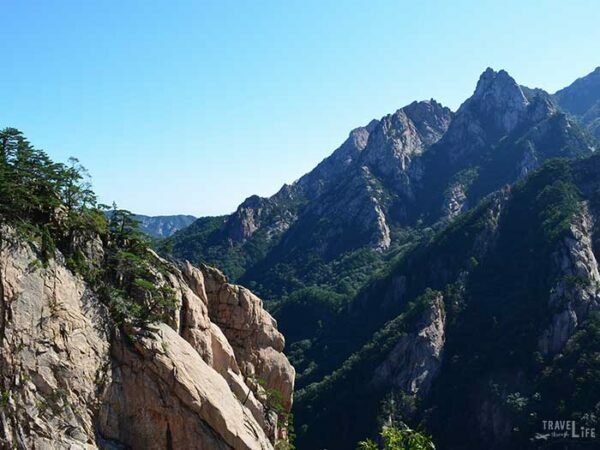 Sognisan National Park’s beautiful rocky hikes are a great follow-up to the beautiful Beopjusa Temple’s golden Buddha statue. 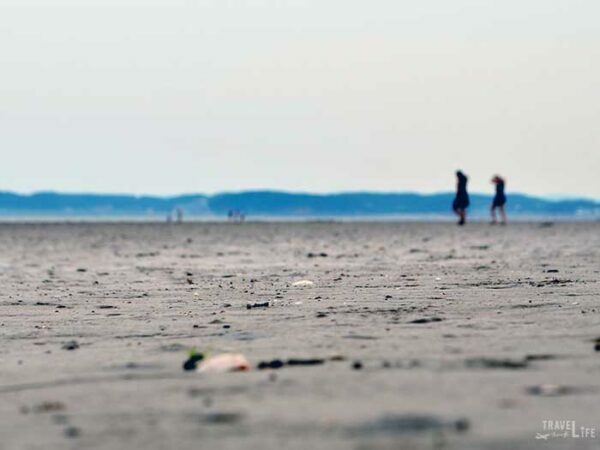 Along the West Coast, Boryeong is a well-known beach town and attracts lots of visitors for its yearly Mud Festival. 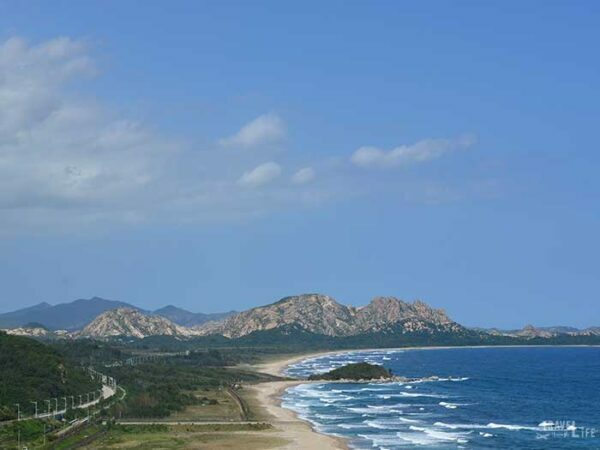 There’s also Taean, which is known for its Tulip Festival but also beaches and wetlands within Taeanhaean National Park. If you decide to go camping in that part of the country, I recommend you pack extra mosquito spray because those little bugs are just too much! Mosquito spray and more important things can be found in our essential camping packing list! 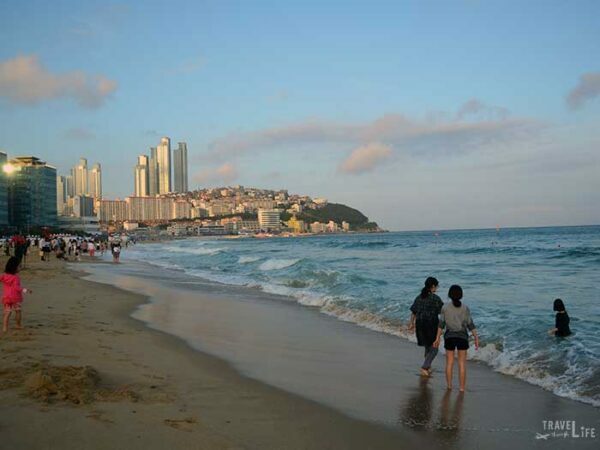 Busan is an awesome coastal city and we love visiting Haeundae Beach, Taejongdae and Nampodong for the Southeast’s best street food. 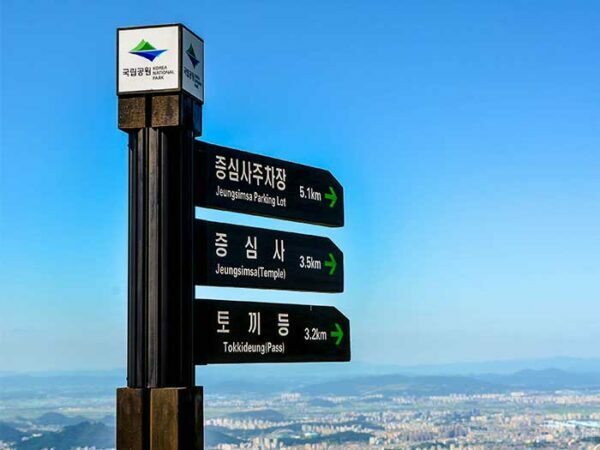 Daegu’s Hill Crest Theme Park and the city’s arboretum mean you should spend some time in the area’s second largest city. Then, there’s Changwon, which is an impressive planned city and nearby Jinhae, whose Cherry Blossom Festival brings in people from around the world. Juwangsan and Gayasan are two great parks in the Gyeongsang Provinces. The former filled our bellies with delicious apples and memories with waterfalls. The latter’s Haeinsa Temple impressed us with its prayer maze Unesco-recognized Tripitaka Koreana. Ride a bicycle around Gyeongju and experience green tomb mounds and the iconic Anapji Pond. Don’t forget about Andong, which is famous for its delicious chicken (jjim dalk). To the south, Jinju is a fun city and well-known for its annual lantern festival. We also love Geoje for its abundance of windy roads and awesome German Food that comes with homemade sauerkraut! Of course, you can kick back and relax for a while on the rice-terrace- and beach-filled Namhae Island. Gwangju is a great representation of the Jeolla Provinces and the city’s 518 Park embodies the armed struggles that followed the Korean War. Of course, you don’t have to focus on history while visiting Gwangju. The city’s downtown is filled with cool shops and places to eat. Plus, you need to hike one of the trails inside Mudeungsan National Park and get to the top for a view of the city and beyond. 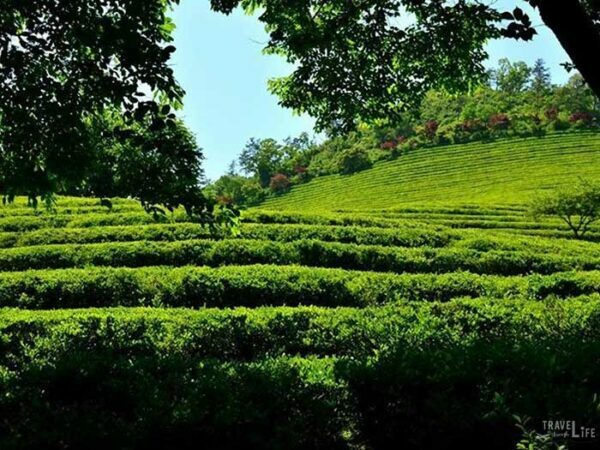 Boseong’s Daehan Dawon Green Tea Plantation. Byeonsanbando National Park combines mountains and the sea, with tons of beautiful spots inside. Jeonju is where you’ll find Korea’s most traditional city in the west. And maybe, it’s where bibimbap is the most delicious (not taking sides). Buyeo, which give you a nice look at the Paekche Dynasty that was strong during Korea’s Three Kingdoms period. The “Slow City” of Damyang is known for its bamboo park and metasequoia forest that brings in tons of visitors. Suncheon Bay and Boseong’s Green Tea Fields two major spots to visit in Southwest Korea. 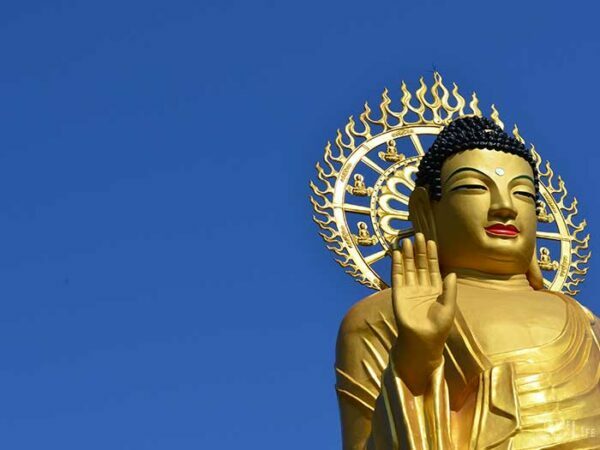 And then there’s Yeosu, which we called “home” for a while, exploring its things to do, visiting islands off the coast, Hyangiram Buddhist Hermitage, and more. 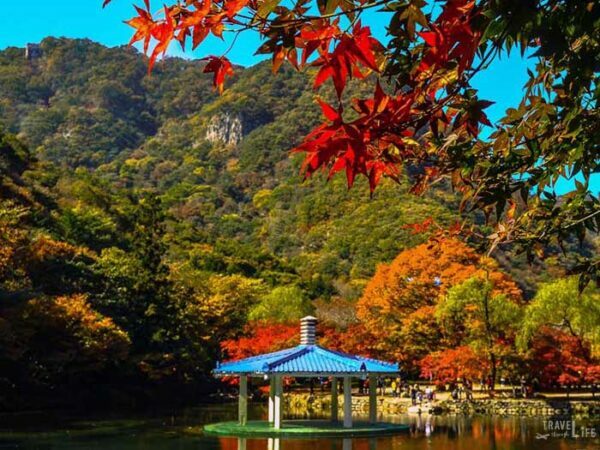 Naejangsan is most popular during the fall as its huge collections of maples change colors. Wolchulsan’s Cloud Bridge tested my fear of heights and though I still haven’t completely overcome it, taking a walk over that helped a little. Some people hike from the bottom to Jirisan National Park’s highest peak but there are other good spots along the way. 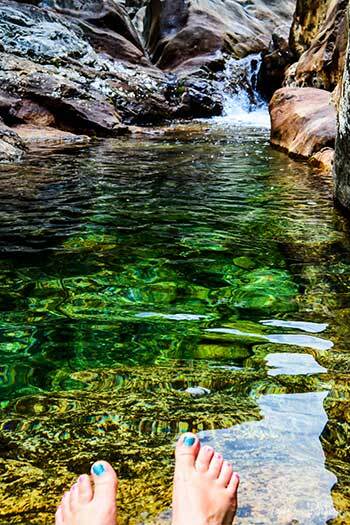 They include the Piagol Valley streams and rocks that transform even the most desk-ridden humans into lizards for a day. Also inside Jirisan, spend time at Hwaeomsa Temple’s wonderful cherry blossoms in the spring and sip green tea just outside its main entrance. Come early, because this temple fills up quickly no matter what day of the week. That’s thanks to schools and other tours coming through here. I’ll be sad when they connect Jeju via an underwater tunnel because how can you not recognize this beautiful place an island and travel around it? We drove around Jeju by scooter and car and loved every minute of it, enjoying the views of the ocean and Hallasan towering over us from the island’s center. Beaches galore surround the island. 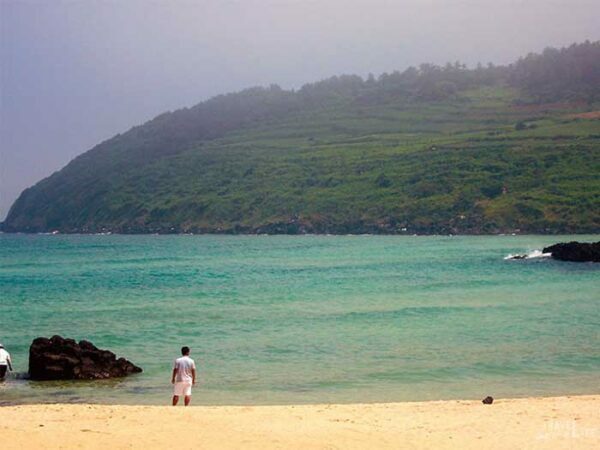 Our favorites include Hamdeok on the Jeju City side and the tourist-friendly Jungmun Beach of Seogwipo. If you don’t want to spend forever there, you can also enjoy Jeju during a long weekend, as it’s not too huge to explore during a shorter stay. You can see most of these South Korea tourist spots by public transport but not as easily, I promise you. I used to love planning my Korea itinerary through taxis and buses. However, after a while, time becomes too precious of a commodity to freely let go. I would give a fair warning to those who are not used to driving in Korea. You must practice patience there. People drive as they walk in Korea, so prepare for sudden cutoffs and actions by people who might not be paying attention to what you’re doing. Another big problem that’s yet to be fully addressed is parking, and a Facebook group brings up some… let’s call them issues that arise. Just keep alert and you shouldn’t have any major problems, okay? Still, we think a South Korea Road Trip will show you just how the country’s most beautiful spots. 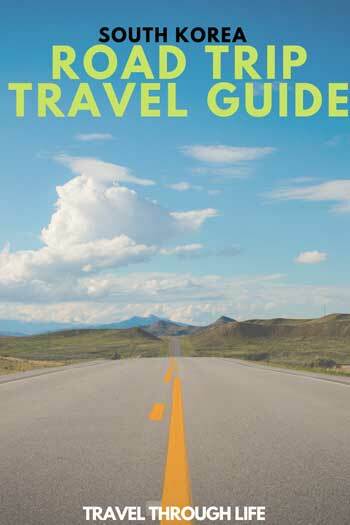 This guide is part of our series on South Korea Travel, East Asia Travel, and Asia Travel. It was originally created on November 24, 2017. It has been maintained and updated on our blog (as of March 2, 2019) to reflect current viewpoints and travel destination trends. 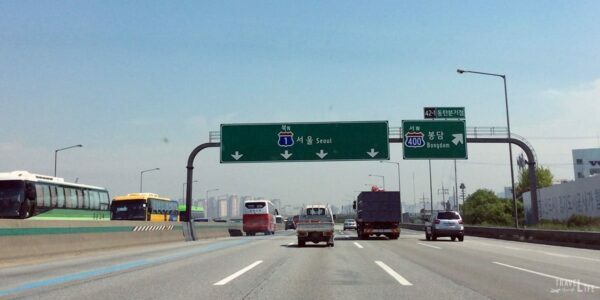 What are the best places on the way to Seoul from Gunsan while you are on road trip ? Thanks for reaching out. I’d say Suwon and Gongju would be the coolest places along the way, though there are so many in between Seoul and Gunsan. Hope that helps! Hi is it recommended to drive from busan to boseong to seoul in end december where there will be a lot of snow? Great question! Unfortunately, I can’t speculate on the weather, as it’s always variable. December will be cold all over, but can’t guarantee it will or won’t be snowy. Typically, January is much colder, so December is definitely the better month out of the two, if that makes any sense. If you want a 99% guarantee, Jeju would be your best bet for a snow-free South Korea drive. Hope that helps! I’m here now and will be able to start my road trip on Saturday and will have until Thursday midday to get to the airport. I’m thinking I don’t have the time to do the full circuit but maybe should stay in a region. Do you have some suggestions? Thanks for reaching out and hopefully, you’re enjoying Korea! If you’ve got about six days, it’s possible to drive down to the coast (4-5 hours) from Seoul as long as traffic doesn’t get you. Perhaps making a loop down through Gwangju to Boseong/Yeosu and then work your way over to Busan/Daegu. You can cut up through Gyeongsang Provinces and check out Sokcho before heading back. All of these are totally doable in 1-2 days each. Depends on how quickly you like to explore. Hope this helps. Please feel free to reach out if you have any other questions. Great article and pictures. I live in Gangneung and I agree that hwy 7 makes for a stunning drive. I think you can appreciate it even more if you ever get the chance to bike it. About 7 years a go I took a road trip to the Southern coast and I was blown away by places like Geogje-do, Yeosu, and Namhae. One of the best parts about driving in Korea is that your never too far from a highway rest stop. These places are always full of activity and a great way to break up the drive. Wow, Gangneung is pretty awesome, I must say. Ojukheon was a cool place to visit there. I do agree about the highway stops, considering I’m now in the US where you wait a bit more for one. Thanks for stopping by, Andrew! I’d love to have your insight on that part of the country, if you’re ever interested in writing a Guest Post. Shoot me an email to dukestewartwrites @ gmail if so.